Thank you for taking the the time to view my Asian Wedding Services and Suppliers in Nottingham in Nottinghamshire Page. 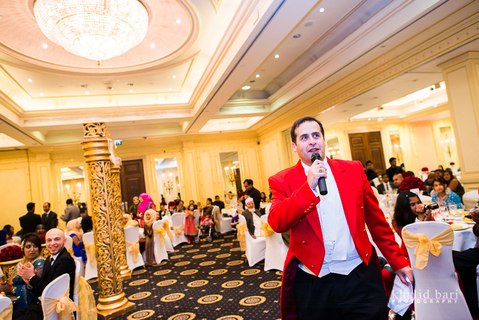 As an Award Winning Toastmaster and Planner, I have worked with every supplier for Indian Weddings in Nottingham. I have also worked with all Muslim Wedding Suppliers. I will therefore be delighted to assist you in sourcing and Booking the suppliers you may require. These include Baja Bands, Tabla and Sitar Players, Bollywood Pianists, Bollywood Musicians, Dhol Players, Magicians, Bollywood String Quartets, Bagpipers, and lots more. Some of the Venues for Asian Weddings in Nottinghamshire, that I cover include, Eastwood Hall, Goosesale Conference and Banqueting Suite, Stubton Hall, Kelham Hall, The Atrium Nottingham, Colwick Hall Hotel and More.